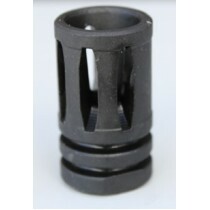 .45 3/4"x16T.P.I A1 Flash Hider . This is an over sized version of the 1/2"x28T.P.I A1. 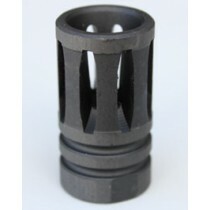 Sl..
.45 3/4"x16T.P.I A2 Flash Hider . This is an over sized version of the 1/2"x28T.P.I A2. ..
9mm 3/4"x16T.P.I A1 Flash Hider . This is an over sized version of the 1/2"x28T.P.I A1. Sl..
9mm 3/4"x16T.P.I A2 Flash Hider . This is an over sized version of the 1/2"x28T.P.I A2. 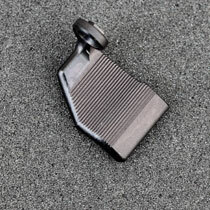 ..
Bolt on case deflector for your 9mm/45acp rifle. ..
For your Lever Release Rifles. This over sized L/H release lever has been designed for an easier .. 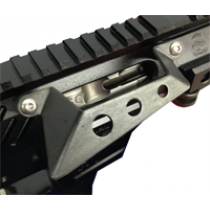 This has been designed to make mag changes easier, faster and more comfortable. ..
For your Lever Release Rifles. This over sized R/H release lever has been designed for an easie.. This fully Stainless steel Cocking lever, gives you adjustment of the hand grip position to provide ..